One of the men who carried out the devastating bomb attacks in Brussels once worked as a cleaner at the European Parliament, officials say. He had month-long summer jobs there in 2009 and 2010, the EU Parliament said, without revealing his identity. 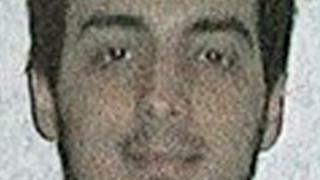 Sources, however, say he is Najim Laachraoui, one of the airport bombers. The Belgian prime minister has defended his country's approach to fighting terror threats, insisting Belgium is not a "failed state". Charles Michel said everyone in authority had to take a share of the blame for failings before and after 22 March. The attacks by so-called Islamic State on a Brussels airport and metro station killed 32 people. Laachraoui, already a major suspect on the run after the Paris attacks in November, was named as one of the two bombers who targeted Zaventem airport. The EU Parliament said the cleaning firm had provided proof that the person hired had no criminal record at the time. The BBC's James Reynolds in Brussels says the capital's metro and its airport are gradually reopening. Mr Michel said 30 measures were being put place in Belgium, including a ban on pre-paid mobile phone cards. "Our key message today is we return to normal life in Brussels and in Belgium," the Associated Press quoted him as telling reporters. "When there is an attack like that of course that's a failure and nobody can deny this," Prime Minister Michel said. "[But] I cannot accept the idea that we're a failed state." Belgium has been accused of taking an un-co-ordinated approach to terror threats because it has multiple institutions representing the country's complex linguistic and political makeup. The Brussels region alone has six police zones. According to Belgium's De Tijd newspaper, Mr Michel said it was "short-sighted to say a unified police force could have prevented the attacks". He said there had been some successes like the recent arrest of the surviving suspect of the Paris attacks last November, Salah Abdeslam, adding it had taken 10 years to track down al-Qaeda leader Osama bin Laden after the 9/11 attacks in the US. The prime minister told our correspondent that giving more capacity to Belgian's security services would be "crucial for the next months to succeed". "This means more equipment but also more capacities for our intelligence services," he said. He added that his country's geographical position meant that Belgium was a particular attraction for potential attackers. "Belgium is a small country in the heart of Europe, it means that it is very easy to go to London, Paris etc," he said. "It is an easy place to organise attacks in other countries of Europe. It means we have to work better with our partners, and we have to upgrade our capacities for security." The search for the 22 March attackers is not yet over as pictures taken at Zaventem airport show three men entering the terminal building with explosives. Laachraoui and Ibrahim el-Bakraoui detonated their bombs and the third is thought to have escaped.